The Oregon Joint Committee on Implementing Measure 91 failed to pass Senate Bill 844, a medical marijuana regulatory bill, that began as an OLCC Measure 91 “technical fix” bill, last night and currently are at an impasse over how they will move forward. Rightfully, patients, advocates and concerned citizens made their voices heard after legislators shirked the major duty in front of them, implementing Measure 91, to unnecessarily decrease patient gardens, impose burdens on providers and allow city councils and county commissions deny safe access points for patients. Members of this joint committee were certainly advised by numerous advocates, patients and lobbyists to hold off on major medical marijuana restrictions until after Measure 91 gets finally implemented in the latter half of 2016. Jumping the gun to restrict patient gardens, impose new fees and institute more governmental intrusion into the lives of the medical marijuana community has been a huge blunder by several members of the committee, led by Portland Democrat Ginny Burdick. Senator Burdick was joined by Sen. Lee Beyer and the four Republicans on the committee to not only restrict patients access to medicine by decreasing gardens, but also by allowing cities and counties to ban medical marijuana dispensaries. With the March 1st moratorium allowed by Senate Bill 1531 finally behind us, it is time for patients across the state to have the same safe access as patients in Portland and the other locales allowing dispensaries. Some business interests, operating in Portland and other areas without bans, have been more than willing to continue hurting patients’ safe access to medicine by supporting SB 844, but it is great to see activists and public servants willing to stand up for the rights of sick and disabled patients, regardless of where they may live. 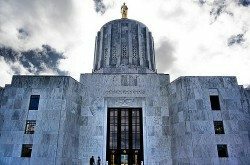 While Senator Burdick has joined forces with Republican Sen. Jeff Kruse to demonize medical cannabis advocates and insult the intelligence of patients, it has been heartening to see Democrats Ann Lininger, Peter Buckley, Ken Helm and Floyd Prozanski, stand up for sick and disabled patients and the will of Oregon voters. The Oregon House Democrats (Lininger, Helm and Buckley) effectively blocked Senate Bill 844 by voting against local opt-out measures that will hurt patients’ safe access to medicine and go against the opt-out provision passed by 56% of voters. These House Democrats especially deserve the support and praise of the Oregon cannabis community, and the majority of voters across the state that passed Measure 91. Senate President Peter Courtney deserves much blame for the ineffectiveness of the committee by naming Ginny Burdick, someone very unfamiliar with marijuana or marijuana policy, to co-chair this important committee. Clearly, someone like Senator Prozanski, an elected official with a lot of experience developing marijuana policies would have been a much better choice. We must continue to monitor this political situation as Peter Courtney may try another end-run around the voters and start a Senate marijuana committee to pass Senate Bill 844. Patients living in areas that have enacted moratoriums have waited long enough for safe access through licensed and regulated medical marijuana dispensaries. The well-being of patients shouldn’t be at the whim of a few city council members or county commissioners. More than 56% of Oregonians passed Measure 91, with a local opt-out provision that forces cities and counties to democratically opt-out of marijuana businesses through a majority vote of the people in a general election. Any locality wanting to opt-out of medical dispensaries should at least have to follow the same procedure that Oregon voters just approved for recreational retail outlets. I am proud of helping lead the effort to defeat Senate Bill 844 and will continue to speak up against any and all measures that will hurt vulnerable patients. I am even more proud of the patients and advocates that took time out of their day to make their voices heard. This effort clearly demonstrated that ordinary citizens can impact the Oregon Legislature, even when up against big money interests and lobbyists. We must remain vigilant to protect the OMMP, as it is attacked each and every session, so Senate Bill 844 won’t be the last attempt by Senator Burdick or another politician to hurt patients or our successful medical program. We will likely have a call to action very soon to ensure that we protect the OMMP. However, the current rejection of Senate Bill 844 is something that the Oregon medical cannabis community and everyone who supports the will of the voters, can celebrate, and take credit for. Alex Rogers is co-owner of Marijuana Politics. He is an experienced cannabis law reform advocate, getting his start in the 1990s under the tutelage of legendary activist Jack Herer. 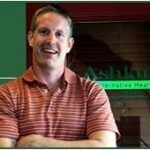 Alex is also CEO of Ashland Alternative Health, and Northwest Alternative Health, medical cannabis clinics that help register patients with the Oregon Medical Marijuana Program. Additionally, Alex is the executive producer of industry business conferences that work to further professionalize and mainstream the cannabis and hemp industries. He started the Oregon Medical Marijuana Business Conference (OMMBC), the first medical marijuana business conference of its kind in Oregon. Following the success of the OMMBC, Rogers started organizing the first International Cannabis Business Conference (ICBC), a unique event bringing in activists and entrepreneurs with valuable experience from across the globe.